How to use open interest to increase your profits? 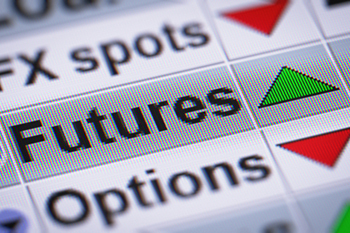 In the world of futures and options, open interest (OI) is one of the key analytical tools that help one take a price view on stocks and even on the indices. In the world of futures and options, open interest (OI) is one of the key analytical tools that help one take a price view on stocks and even on the indices. Unlike equity shares that are limited by the number of shares issued, there is no such limit on open interest. However, in the interest of keeping a check on speculation, the exchange limits open interest with the use of market-wise position limits (MWPL). Let us first see how OI is created with an illustration of lots on SBI. The numbers refer to long/short in lots of SBI. In the above instance, Ashok has been a net buyer of SBI futures who is matched by three net sellers. The OI is 23 lots at the end of Day 4. OI actually gets a direction when new traders come into the stock futures or when existing traders exit it. But how do we use the OI data to actually profit from the market? OI cannot be used in isolation; it has to be used with reference to the price movement. Here’s how. If you see the price of the stock increasing along with an increase in open interest, then it indicates strength behind the price move. It indicates that the price is moving up on the back of aggressive buying in the stock futures. You can position yourself by buying into the futures, but you need to keep watching for the signal when this relationship turns around. This is a sign of strength and indicates higher price movement. This is an indication of short build up in the stock futures. Short build up happens due to two reasons. One could be a negative view of the stock which is inducing traders to sell the futures. Alternatively, it could also be a case of fresh arbitrage positions being built in the stock, wherein traders buy in the cash market and sell in the futures for assured spreads. An arbitrage is actually positive for the markets but also indicates that traders are not entirely bullish. Fresh shorting could either be due to structural reasons or purely as a short-term trade. Either way, short covering is likely to offer support at lower levels. You can position your trade either on the short side or as a ‘buy on dips’ approach. This is a case of short covering which is explained by the reduction in open interest. Existing holders are taking their profits and exiting their positions in the market. Most likely, it is shorts that are being covered. This could have two interpretations for you as a trader. You can be cautiously bullish on the stock and put your trades accordingly. The other option is to use higher levels to sell the stock as this is a case where the stock is likely to lose its upward momentum when the short covering is completed. This is a fairly bearish scenario where traders are actually offloading their long positions in the market and this explains the reduction in the open interest. The fall in price indicates that there is neither short covering in the markets nor is there any buying that is coming in. In fact, this scenario is common when arbitrageurs are unwinding positions in the market. Normally, when the price is falling with a fall in open interest, it also indicates a lack of buying interest in the cash market. This is a clear indication to unwind long positions and initiate fresh short positions in the stock. How do you interpret OI movements in options? There is one important thing to remember in case of options. Normally, large institutions and informed investors are on the sell side of calls and puts. So, if you see an aggressive increase in open interest in puts, it is most likely being led by the institutions who are selling puts and it hints at a support level below which the market is unlikely to fall. The reverse interpretation holds in case of call options OI movement. You can position your trades accordingly. In fact, while designing you cash market and futures trades, you can use the options OI data as a confirmation data point.